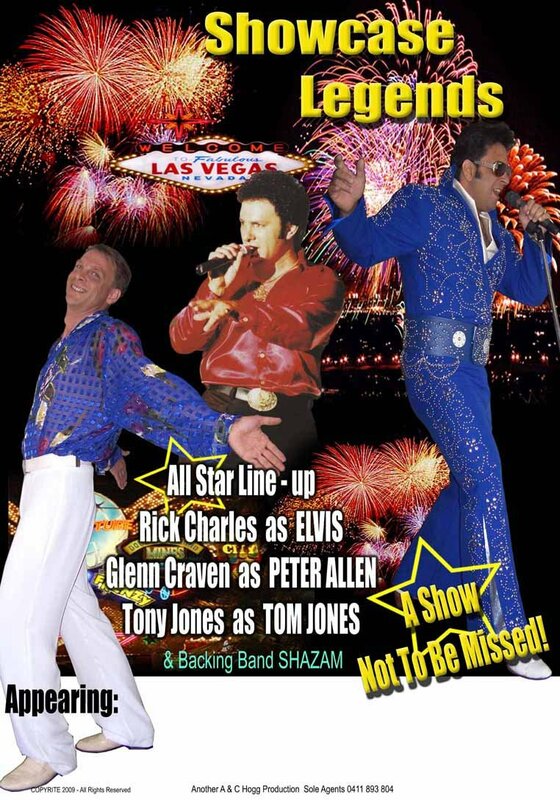 Regarded as Australia's best Elvis Tribute Show artist, Rick Charles salutes Elvis Presley in the most spectacular show of its kind ever to be staged in this country. 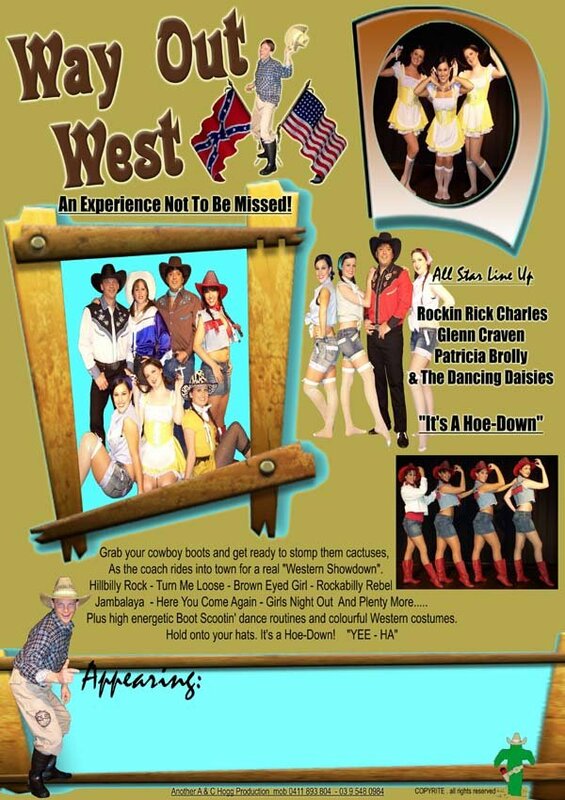 Backed by a cast of 20 musicians, singers and dancers in a full production show. Away from Elvis. Rick’s song repertoire is as long as it is wide, and crosses most spectrums of music. With several decades of performances at every major venue in Australia. "Sounds more like Elvis than anyone I've ever heard apart from the real thing...Fantastic Show"
"He is an artist with outstanding talent who will no doubt go a very long way". PREMIER OF VICTORIA - HON. MR. JEFF KENNETT, M.L.A. 'Rick Charles is one of the most Dynamic live performers in this country. He has perfected Elvis! Voice, look and movements...Sounds even better than the King of Rock". "Absolutely fantastic - Rick is the best I've seen and heard since the real thing. This boy can also move". There are so many impersonators around. "He sounds like the real thing". COMMERCIAL CLUB - ALBURY N.S.W.